Welcome to Hagerstown Honda Lease Return Center! Here at Hagerstown Honda, we are always looking for well-maintained Hondas for our pre-owned inventory. Did you know that many Honda lease customer are also able to trade their leased vehicle prior to the lease term ending? This is achieved by the market demand for quality pre-owned Honda vehicles at Hagerstown Honda. If you trade your current lease in early, you may be able to upgrade to a new Honda from Hagerstown Honda at the same, or lower monthly payment! We are currently looking for leased Honda Pilots and Odysseys and we are paying top dollar for these vehicles! Please contact me at (301) 991-8267 or complete the form below to schedule an appointment to receive your Complimentary Appraisal and Personalized Early Upgrade Offer. Bring your leased Honda car to Hagerstown Honda and lease or purchase a new Honda. Bring in your current Honda lease for an exclusive Lease-End Preliminary Assessment and receive a Personalized Upgrade Offer from an experienced and knowledgeable professional. To schedule an appointment to receive your personalized options to lease or purchase a new Honda car, van, truck or SUVs. Keep your leased Honda car, truck or SUV! Our customers often choose this convenient and easy Lease-to-Own option because they love their Honda and don’t want to part with it. We understand how special it is to find the perfect car that fits your needs. We offer flexible finance terms and the ability to include Honda Care in your Personalized Vehicle Purchase Plan, so you can enjoy your Honda for years to come. 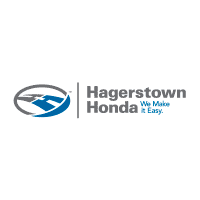 Enjoy our Set For Life™ benefits included with every Honda Lease Buyout at Hagerstown Honda! Return your leased Honda to Hagerstown Honda. Guaranteed Asset Protection (GAP) generally covers the difference between insurance payments and the outstanding lease if your vehicle is stolen or deemed a total loss. GAP coverage is standard on all Honda Leadership Leasing. Loyal customers may be eligible for a waiver of the disposition fee. Honda Leadership Leasing locks in the end-of-lease purchase price at signing, which can protect you against market fluctuations. Contact me, Ian Smith at Hagerstown Honda on (301) 991-8267 or complete the form below to discuss your lease-end options today! I am available Monday-Saturday to make your lease-end experience enjoyable and rewarding. I hope to have the pleasure of hearing from you!